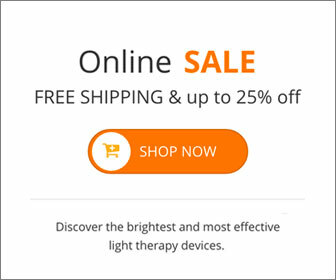 Almost 75% of surveyed psychiatrists reported using bright light therapy in their practice, and all but one clinician prescribed it for patients with seasonal affective disorder in a recent study. Researchers said a low response rate may have confounded the results for prescribing this therapy to treat SAD, which typically manifests itself in October for people living in the Northern Hemisphere. Researchers from the departments of psychiatry at Yale University and the Boston University schools of medicine emailed 5-minute surveys to 1,401 psychiatrists in Massachusetts. Of the 1,366 emails that were delivered, 197 psychiatrists responded to the survey. Among respondents, 142 (72%) recommended the use of bright light therapy, including 141 psychiatrists (99%) who endorsed its use for patients with SAD. Fifty-five percent of respondents recommended bright light therapy for nonseasonal major depression, but the researchers said bright light therapy can be efficacious in treating nonseasonal depression. All but one respondent who recommended bright light therapy prescribed it for use in outpatient settings, and only 11% of those said they would use it in an inpatient setting. Lack of insurance coverage was cited most often (55%) as a barrier to treatment. Thirty-six percent of respondents said limited knowledge of bright light therapy was a barrier, as was patient preference (35%). Compliance concerns were reported by 31% of respondents, and 27% said its cumbersome nature posed another treatment barrier. The low response rate may have caused biased results, researchers said, and thus they considered their results preliminary. The researchers also wrote that respondents may be more technologically savvy than those who did not respond, raising other questions about the results. This entry was posted on Tuesday, May 5th, 2015 at 8:22 am	and is filed under Depression, Light Therapy, SAD, Uncategorized. You can follow any responses to this entry through the RSS 2.0 feed.